'Arc de Triomphe' forms a large arching, vase shaped clump with dark green, heart shaped leaves. 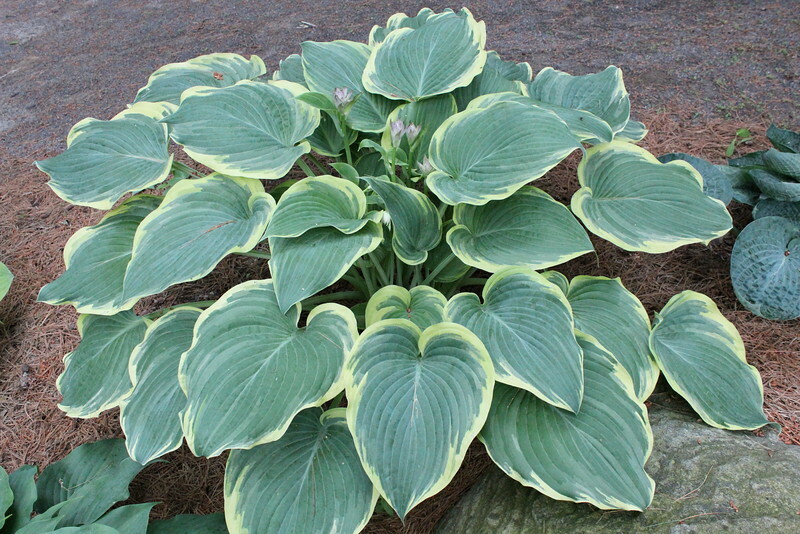 The leaves have a variable yellow margin that gradually lightens to white by mid summer. This plant really needs to reach maturity to look impressive.